Judy Moody & Stink – NEW! 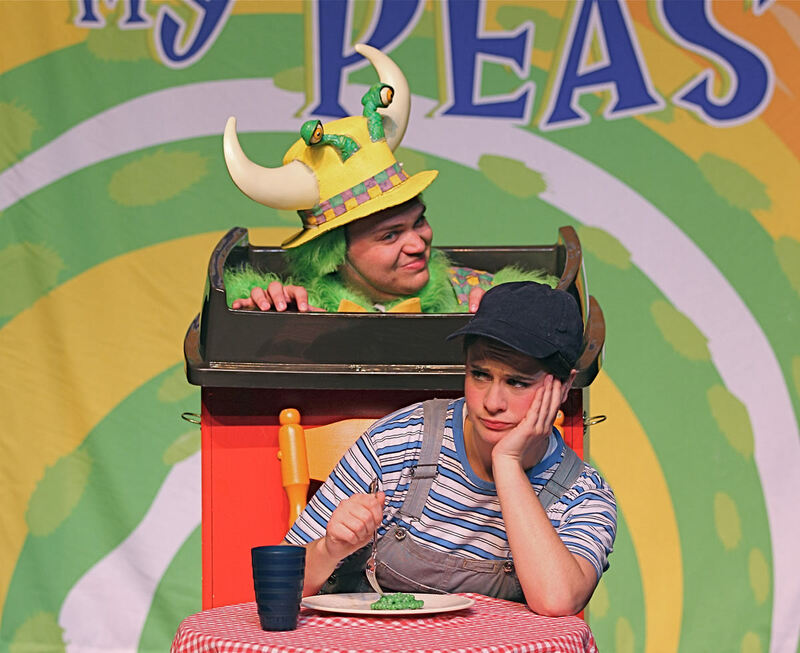 Based on the multi-award winning book written by Danny Schnitzlein and illustrated by Matthew Faulkner, ArtsPower’s musical tells the funny and poignant story of a young boy who doesn’t want to eat his peas. 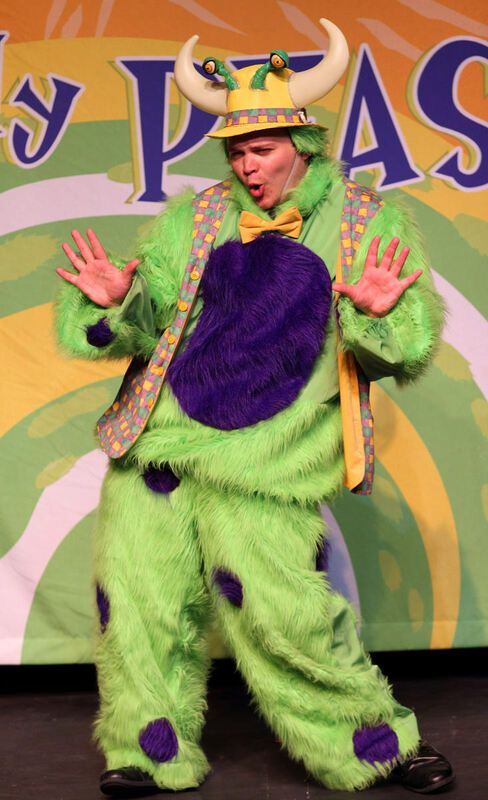 When a crafty monster appears underneath his kitchen table, the boy is ready to make a deal with the monster. 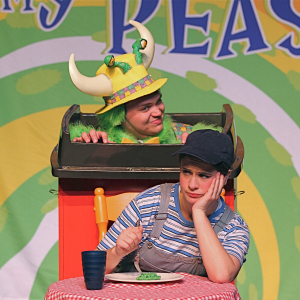 If the monster eats his peas, the boy will give the monster any of his possessions. First, it’s the boy’s soccer ball. Then, his bike. But, when the monster raises the stakes, will the boy refuse the monster and make the difficult decision to face his own fears? Children and adults alike will be entertained and engaged by this wonderfully written tale about the value of will power. To download high-resolution photos, first click on any of the photos above, then right-click on the larger images that appear. 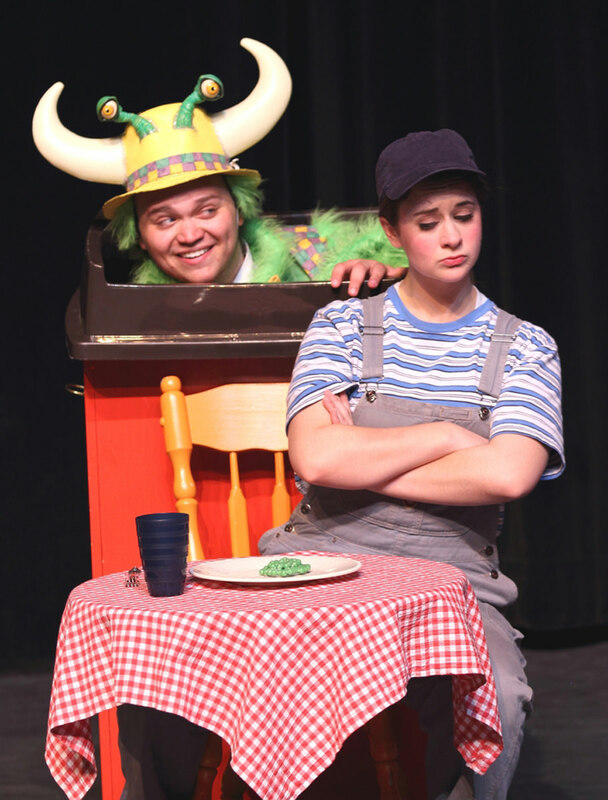 Credit: Based on the book, “The Monster Who Ate My Peas.” Written by Danny Schnitzlein with illustrations by Matt Faulkner. Copyright ©2001. Published by Peachtree Publishers, Atlanta, GA. Presented under a special agreement. All rights reserved. 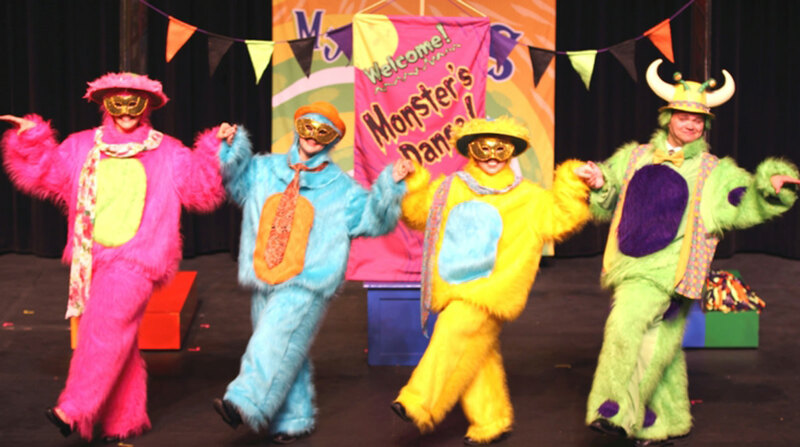 We had three great performances of “The Monster Who Ate My Peas!” The cast and crew were great to work with – timely and professional. Look forward to having ArtsPower with us again! 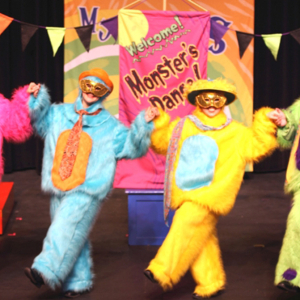 “The Monster Who Ate My Peas” shows went great! The company was friendly and efficient, so it was a good experience all the way around!! 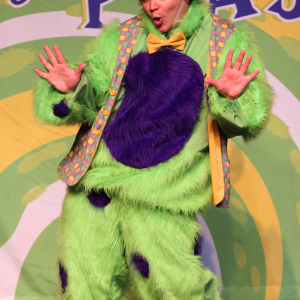 The performances of “The Monster Who Ate My Peas” went really well. The actors were great; they always are. I enjoyed getting to know them. 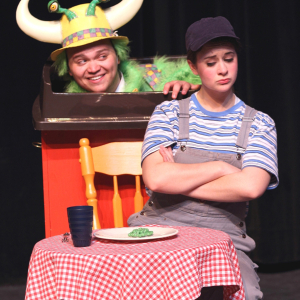 I just wanted to tell you what a wonderful job you did adapting “The Monster Who Ate My Peas” as a musical. I couldn’t be more pleased! I thought the adaptation, the music, lyrics, and choreography were all top notch. The actors did a phenomenal job too. What a great cast!